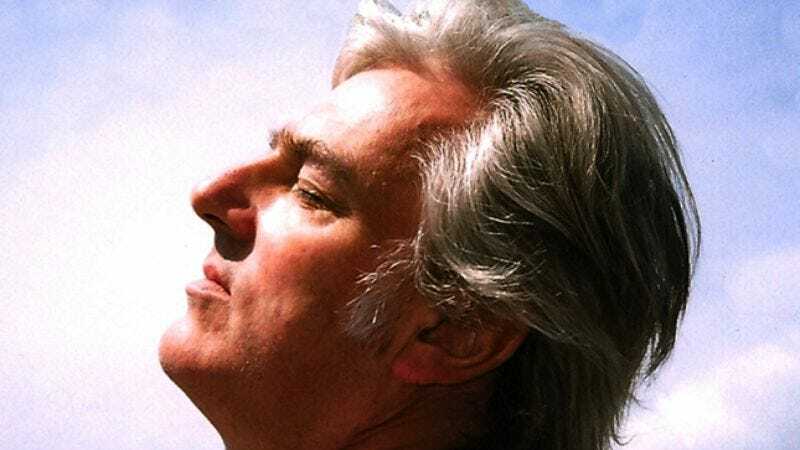 The artist: Robyn Hitchcock first made his musical mark as a member of The Soft Boys, a band that eschewed punk, embraced psychedelia, and in the process produced the seminal 1980 album Underwater Moonlight. Beyond his work in The Soft Boys, Hitchcock has accumulated a substantial back catalog, with some albums credited solely to him and others finding him backed by The Egyptians or, more recently, The Venus 3. Chronolology, a new digital-only best-of released through Yep Roc Records, is the first-ever look back through his entire career. Robyn Hitchcock: It was 1979. I think the Russians might’ve invaded Afghanistan. Generally, the pendulum had swung as far as it was going to toward the left, and it was beginning to go back to the right. Thatcher had got in, Reagan was waiting in the wings… Things had never looked good, really, but they were beginning to look even worse. Something we should remember now, when everybody feels that things couldn’t possibly be wore, is that as far as I can remember, things have always been as bad as they could possibly get. Everybody has wrung their hands about everything. So, yeah, I wrote that then. [Laughs.] It was really kind of a protest song about human nature. I think that’s the best way of putting it. It had a personal dimension as well as a geopolitical one, if you like. What I didn’t realize was that it was the song that would give The Soft Boys kind of punk credentials in the U.S. when nothing could’ve been further from punk rock than The Soft Boys, at least in terms of groups that were happening around then. And it was recorded on four-track. Everything was multi-tracked, and it’s got that great sound: cheap but expansive. The A.V. Club: Chronolology starts with “I Wanna Destroy You,” which means that it skips over The Soft Boys’ debut album, 1979’s A Can of Bees. Was there nothing worthy of representation? RH: Yeah, not really. Otherwise, I’d have put one on. [Laughs.] I mean, this is very condensed, so this is simply songs of mine that are either relatively well known or… could be. It’s my idea of what is undemanding of mine to listen to, and A Can Of Bees is a very demanding record. AVC: Before The Soft Boys’ albums became more readily available, many of your fans only knew “Kingdom Of Love” from the version on your live album, Gotta Let This Hen Out! RH: Well, that’s okay, but the Gotta Let This Hen Out! one is very much, ironically, more dated, because it’s done mid-’80s with a DX-7 keyboard, and I’m going through a chorus pedal, and we’ve all got ’80s hair. It was much more part of its time, whereas the original Soft Boys version was beautifully out of sync with what everybody else was doing, which I think is one of the reasons that Underwater Moonlight has persisted. Yeah, that was done on eight-track. There was a lovely moment at the end: Kimberley [Rew] and I were singing our vocals live, bounced down onto one track, and we just both went “yeah!” at the same moment. [Laughs.] We were obviously reading from the same page before the same page had been invented. I think that’s another high point of the group. It really brought out the best of everybody. Everybody’s strength. Kim and I playing in unison, and it’s a monolithic riff, really, beautifully recorded by Pat Collier. Another very melodic bassline from Matthew [Seligman]. AVC: I’ve heard rumblings that the song was written about Syd Barrett. True or false? AVC: Black Snake Diamond Role was your first solo album, but only just barely, as Morris Windsor, Mathew Seligman, and Kimberley Rew all play on it. Were you easing into the idea of going solo? RH: Well, I wanted to put my name on a record, and I also didn’t want to have all the band on everything, which it seemed like you had to do for a Soft Boys record. And there were going to be songs with piano and acoustic guitar, things that didn’t really fit into what we thought of as the Soft Boys sound. I don’t think the Soft Boys sound ever involved acoustic guitar or piano. So I was headed that way, but they all helped out on it, yeah. AVC: Did that help you with the transition into being a solo artist? RH: Well, it was what I wanted to do. I didn’t know if we were going to make any more Soft Boys records at that point. And then we didn’t. You know, it was difficult being in The Soft Boys at that time. We were not doing what people wanted to hear, largely. Having said that, there were a few very rabid fans, but we had to deal with a lot of active hostility from the press and sometimes audiences because we were not playing whatever what was on the menu for the Post-Punk Orthodox Dining Club. Kimberley needed to make his own record, and there was a lot of tension around. He needed to go off and do what he did with Alex Cooper, his old drummer, and, you know, “Walking On Sunshine.” And I was really quite happy to be the head for Robyn Hitchcock rather than carry on flying the Soft Boys flag. I hadn’t necessarily seen The Soft Boys as a long-term concern, so I’m quite impressed that now The Soft Boys still comes back a lot, though it’s particularly ’cause Underwater Moonlight’s such a great record, I suppose. But at the time, all we were, really, was a little pub-rock band in Cambridge who managed to play a few gigs out of town and once went to America. We weren’t really in the firmament. People like Hazel O’Connor and Toyah and The Vapors and The Jags and 999 and The Piranhas all had more success than we did. [Laughs.] But I’m very glad the reputation of it has lasted. RH: As I’ve said many times, I never thought the Groovy Decay or Decoy sessions were very… I was never very happy with them, and they suffered dreadfully from people trying to drag the whole thing into the ’80s. With the best intentions, perhaps, but it really didn’t suit me. I think even then what audience I had realized it. It wasn’t really very popular, either with me or the fans. There’s a download of the album available if people want it, but I haven’t bothered to actually make it available physically this time around. RH: I made it a few years after Groovy Decay, and I’d had a couple of years off from not playing live or anything like that. I was writing lyrics for Captain Sensible and gardening and just sort of disappearing, really. Seeing what it was like to not do gigs or have any sense of a career but to carry on making music. I had a little four-track machine, so for the first time I was completely independent. I could multi-track myself, and I had a sort of digital reverb about the size of a shoebox that my friend The Great One [James Smith] lent me, and I bought a microphone and had a flange pedal. So I had three effects and a four-track cassette machine. [Laughs.] And that basically gave me the demos for I Often Dream Of Trains. I worked it out on that. That was the first time I made a record without anyone else’s involvement. At that stage, I was enormously influenced by whoever was recording me or producing me or working with me. Add somebody or subtract somebody, and the atmosphere seemed to change completely, even down to the songs I was writing, so I wanted to see what it was like if I took everybody else away. I don’t know if I’m more centered now. [Laughs.] I still think it holds true, you know: Whoever you choose to work with, you’ll get a very different sound, and even the smallest adjustment in the chemistry can have a mighty effect in the sound of a record. Just the difference between the lineups of The Soft Boys shows that. So I Often Dream Of Trains was really me taking everybody else away and seeing what was left. And what was left didn’t have any drums, and it had me trying out my harmonies, playing piano and whatever else I could. AVC: Although it was certainly respected well enough upon its initial release, I Often Dream Of Trains has since gone on to be considered one of your definitive albums. Do you have any recollection as to when it earned that stature? RH: No, but I think it’s partly because it’s been around a long time, and things that have been there longer tend to resonate. Unless you happen to have a big hit or something like that, which was not really on the agenda, as far as I was concerned. I personally think the songs on Eye are actually better than the songs on Trains, but Trains goes back further, and it’s got some very entertaining songs on it. [Laughs.] It’s a hermetic world, I suppose. It’s me sealed off from everybody. And maybe that’s one of the things that people like about it. Records really should be a world of their own. Each one has to have a different mood. Otherwise, you can’t really necessarily tell them apart, rather than, “Well, this is Bob Dylan, Pt. 17,” or, “This is Richard Thompson, Pt. 28,” or, “This is Robyn Hitchcock, Pt. 30.” You know, really, what people want is to reach for a record with a certain mood on it. Like, Van Morrison, people will reach for Astral Weeks or Veedon Fleece, which has got a complete different mood from Moondance. Or people will go for the mood of Blood On The Tracks rather than the mood of Street Legal or what have you. I mean, it’s partly to do with the quality of songs, but it’s not just the quality of songs. It’s actually the feeling of a record, and I think that Trains was just so much its own world, ’cause I was so much in my own world. I was really disconnected from just about everybody, and maybe people like it because of that. Because it allows them to go into their own worlds, too. It becomes a sort of portal. RH: At that point, I’d started working with Morris Windsor and Andy Metcalfe again, who’d been in the Soft Boys. It’d been about four or five years, and we got together because an old Soft Boys record was coming out—Invisible Hits—and it seemed like there was some more mileage to be had. “Dead Wife” was from one of the first sessions we had, and it went very well. I think Andy played all the keyboards and bass. Yeah, it’s a… It’s a song, really. [Laughs.] It’s popular. People like it. It’s a good live one. It’s sort of influenced by Gabriel García Márquez, who wrote One Hundred Years Of Solitude, where the deceased haven’t really gone away, they’re still hanging around in the place that they used to be. So you’ll see the old man standing under the tree where he’d be, and now he’s there as a ghost, but Marquez doesn’t that much distinguish between the living and the dead. So I just sort of took that with me, really, and built that scenario. AVC: At times, Fegmania! has a more overtly Byrds-y feel than some of the albums that preceded it. RH: I’d been listening to the Psychedelic Furs. Vince Ely, the drummer in the Furs, played on Black Snake Diamond Role. They came out after The Soft Boys, but they overtook us—which wasn’t hard—very quickly, and toward the end we actually opened for them. They were the only band in Britain I really knew, and they’d kind of done it right. They’d got a deal with CBS, had real fans and groupies, and had proper tour support. They had it like it was supposed to be, and then they went off to the States and took off. Vince left them, in fact. But I’d become a convert to the Furs, and I think that sort of sound, the way the voice goes over the chord change and the voice hits one note, it’s a Furs-y kind of thing. That’s what I was headed toward on that one. AVC: Not that that’s ever been an inspiration for your songs. RH: [Laughs.] Well, that one was particularly food-y. AVC: When selecting a song from Queen Elvis for Chronolology, did you have to flip a coin as to whether you’d include this song or “One Long Pair Of Eyes”? RH: Well, “One Long Pair Of Eyes” was the second single from the album. But I think we picked “Madonna Of The Wasps” as the first single probably because it was jangle-pop. And it was concise. I really like the tune of “Madonna.” I thought it was quite faux-Scottish. I was very proud of that one. I thought we did quite a good job. Peter [Buck]’s also on that one, and there’s some lovely low harmonies that I think Andy does. I think Peter whistled it a lot during the session, and I think maybe that made me think, “Okay, that’s the song that seems to be sticking, so maybe we push that one a bit.” I mean, “One Long Pair Of Eyes” is much more epic, but they’re both… I mean, I still sing them both today. They’ve both lasted. AVC: Was Eye a conscious effort to go back to the more acoustic sound of I Often Dream Of Trains? RH: Not so much that, but it was a conscious attempt to make a record without involving other people. Because The Egyptians, with A&M and everything, there were managers, there was a band, and even before we got a producer, the songs were sort of… They were still mine, but I had less control over how they turned out and what happened to them. And the awful words “radio single” and things had become a fact of life. We were just having to deal with what other bands had to deal with. But I was going to San Francisco a lot and, just with my own money, I started recording this record in Hyde Street. I was breaking up with two people at the same time, and it was a pretty epic point in my life. And I was spending most of my life on planes. So, yeah, I was able to record Queen Elvis, and… I think that version [on Chronolology], actually, is a re-recording from 2005 with Tim Keegan. AVC: Certainly this isn’t what you’d call the least commercial track you’ve released as a single. RH: Well, in a way, it was the least commercial. I mean, it’s basically The Rutles. [Laughs.] Paul Fox, who’d been brought in to try and produce the record, liked it. You know, I gave him some demos, and he really drew a bead on that one. He said, “This is the one! This is great! This is it!” With Perspex Island, what I had always dreaded and seen as inevitable finally happened. When we signed to A&M, I tried to make it clear that we didn’t want to have to change what we were doing, we’d produce ourselves, we wouldn’t compromise. But after two or three albums, they said, “Well, if you want another one, we want to give you a producer.” And we said, “Oh, lord. Okay…” And we met Paul, who’s a very nice chap. He’d worked with XTC, so I said, “Okay, fine.” And he’s a good guy to work with, to get along with. But then A&M decided, “Now that we’ve got a producer, we’re going to pour the gravy over this one and get out the special biscuits.” [Sighs.] The money they spent on Perspex Island, they could’ve given each of us in the band our own house and kept one for themselves and it probably would’ve done as much good. We did a good job on “So You Think You’re in Love.” It’s not a bad song. But it’s not a substantial one. I remember my friend Linda Ryan, who was working at the Gavin magazine… At that point, A&M had kind of hyped it to the top of the alternative chart, and what we used to be able to do with two promo people in the mid-’80s, they were now using a staff of hundreds. The hologram shock troops and all the rest of them, they just figured if you spent enough money and time and effort… Because they were hard-working. They could break a record. But it’s easier to break a reputation. Or an egg. But I remember Linda saying, “Ah, well, you’ve got one more week, and then Nirvana’s gonna knock you off.” And I said, “What’s Nirvana?” And she said, “You’ll find out.” [Laughs.] And we did. And that was really the end of us. It was the end of the whole jangle-pop thing, in terms of it going mainstream. But it was fine. Listening to it now, it’s not a bad piece. It’s an artfully put-together song. And it’s very short. AVC: Not that there’s anything wrong with “I Feel Beautiful,” but it’s surprising that it’s the lone track to appear from your stint on Warner Bros.
RH: Is that really the only thing from Warner Bros.? AVC: I believe so. There’s nothing from Moss Elixir on there. RH: Hmmm. Well, “I Feel Beautiful,” that’s a lovely, great conjunction of people. Grant Lee Phillips took me down to Largo, and I met Jon Brion. I was still somewhat amazingly on a major label at that point, and Jeffrey Weiss, my A&R guy, I think he was the one who said, “Oh, you’ve got to meet Jon Brion.” Unusually for an A&R person, he was able to do something creative, so I think Jeffrey and Grant between them sort of hooked me up with Jon, and then Jon… There was a little bit of a budget still, so we were able to go into Ocean’s Way and record this with Grant, and I think Tim Keegan might be playing on it as well. Grant’s in that beautiful harmony, and Jon’s playing the Marxophone, the xylophone, and possibly the marimbas. He’s got a great ear, and he’s a virtuoso, but he thinks about sounds first and foremost, so it’s not a thing of, “How many serpentine licks can I play on the guitar?” It’s how it works as a sonic piece. Again, I was very lucky. It was a good coincidence of time, space, and budget that we were able to record that record, Jewels For Sophia, and its outtakes, A Star For Bram, which not enough people heard, really. But I was no longer radio-friendly by that stage. At least it’s there. That was pretty much the end of major labels—and 2-inch tape—for me. Almost. AVC: It was a pleasant surprise to see “Mr. Kennedy” turn up in the track listing for Chronolology, since you’ve always been a bit sketchy on Nextdoorland when I’ve talked to you about it in the past. You’ve said it wasn’t bad, but you’ve also said that you felt like you were disturbing the undead by re-invoking The Soft Boys. RH: I haven’t listened to Nextdoorland lately, but I really think it’s not bad. I enjoyed doing it. I just don’t know if we should’ve done it as The Soft Boys, and I still say it was a bit of reactivating the undead by bringing back The Soft Boys, especially given that it was slightly open-ended rather than just saying, “Okay, we’re doing a couple of reunion shows.” But the truth is, if your reunion shows work, then there’s nothing to stop you from carrying on endlessly. [Laughs.] As quite a few people have found out. All power to Robert Plant for not continuing with Led Zeppelin. Yeah, I listened to “Mr. Kennedy,” and I thought it sounded really good. Kimberley and I, by now we’re 20 years older and a bit less competitive and more a team playing those guitars. And Morris and Matthew sounding good as ever. But I really like “Mr. Kennedy.” It’s really sort of a guitar piece, so I thought that was a good thing to have on there. You know, in a parallel world, The Soft Boys existed as a jam band. [Laughs.] And we probably would have been very good at it. But we were never really around at the right time to establish ourselves as that, and it’s not something I would like to reactivate. But this shows that we were very close to it. RH: Ah, and we’re back to 2-inch tape. [Laughs.] That is Gill[ian] [Welch] and Dave [Rawlings], and, again, that’s a very lucky coincidence. I was just able to go down and see them while I was over filming The Manchurian Candidate, where I was a secondary British villain in Jonathan Demme’s remake. I had four or five days extra, so I went down to Nashville and sort of crashed their party for a few days, which was absolutely blissful, just having my voice into Gill and Dave’s sound. That’s not necessarily the most representative song on the record, but it’s one of the shorter ones. [Laughs.] I overdubbed a bit of it, actually, back in Britain—a bit of backwards guitar—and then Dave mixed the whole thing. It’s got Joey Spampinato from NRBQ playing bass and Gill playing drums. That’s a lovely piece. RH: I think what Chronolology really shows, apart from however my songwriting has mutated over the years, is how lucky I’ve been sometimes in finding the right people to work with. I suppose as I’ve got older it’s been easier to contact people, ’cause I’m better known. And I suppose I also know of people. It works both ways. So I can sort of go, “Oh, I wonder if Gillian Welch and Dave Rawlings would be interested,” and that sort of thing. As the waters recede, the island pokes a bit higher out. That’s the return of Peter Buck, who I had worked with in the mid-’80s and then again in the mid-’90s on Jewels For Sophia. So it’s another 10 years later, and R.E.M. is coming in for the home stretch at this point. Peter, Scott [McCaughey], and Bill [Rieflin], who were also in the last lineup of R.E.M., although sadly were not included in the photos, joined me as a module in Seattle. Really, in a way, if anything was the follow-up to Underwater Moonlight, it’s probably Olé! Tarantula, ’cause it’s the same idea, really. Although it’s a bigger cast, essentially it’s two guitars, bass, drums, and harmony. And vaguely poppy songs, or my version of them, anyway. What Kimberley calls “power-pop gems.” [Laughs.] Kim’s on it, he makes a cameo. Morris is on it. Actually, I think Olé! Tarantula sounds more like The Soft Boys than Nextdoorland. It might be partly the songs, ’cause they’re stronger. Nextdoorland, I enjoyed doing it, but I didn’t really bring that many great songs to the sessions, whereas I think Olé! Tarantula is quite a strong collection. RH: Yes! Andy Partridge! I think I did most of that, then I took it in to him, and there definitely were a few chords and adjustments that Andy made. We’ve done a lot together, but unfortunately we’re very good at starting things but not finishing them, so there’s just a variety of things that have been recorded in his shed that are all unfinished. And if we try and do more, you just wind up with more unfinished stuff, so I’m not quite sure what to do about it. Plus, I’m on the road the whole time, and Andy doesn’t tour, so that makes it harder for us to meet up. AVC: He’s a great collector of demos. RH: Ah, well, this refers back to a couple of parties that Morris and I had when we were on tour in 1982 in Norway with the promoter, Arild Skrindo, who’s amazingly still alive and apparently has started promoting again. I went back many years later and tracked some of the survivors down. I was never the same again, really, after the Norwegian experience. And Morris, he had some sort of metabolic issue, almost a breakdown. He had to give up everything but beef, strawberries, and coffee. [Laughs.] For seven years, his only vice was coffee, so if you had a drink, he’d just have another coffee. He was drinking about 12 cups a day. I don’t know what happened. Morris’s internal motor… I mean, he’s not an intemperate man on the whole. You wouldn’t hold him up and say, “Morris Windsor: Drug Fiend” or “Morris Windsor: Booze Hound.” I know many more intemperate men than him. But he just sort of did something to his motor there. I don’t know. I do know, however, that we all did something to our motors on those parties. We started having panic attacks a few years later, triggered by different things. Getting overtired, basically. It hit us both. But I never cleaned up as much as Morris. I did clean up for a while, though. But, anyway, I went back to the source of it, started remembering, wrote the song, and got the Venus 3 in there, along with Jenny Adejayan, who plays cello with me in my British band and who is a brilliant musician. She’s very good at finding elements to bring out. She can play the cello like a cello, but she can also make it sound like a trombone or a rhythm guitar or a bass or even a Theremin. Recently, my British outfit and I did Captain Beefheart’s Clear Spot album, and Jenny’s playing basically whatever it is that Rockette Morton plays. Or maybe Alexis Snouffer. One of those. Whatever the case, she’s playing a whole Beefheart guitar channel. At one point, we do “Electricity” as a second encore, and she just does that Theremin part—you would not know it wasn’t the record. So she’s quite a good mimic, both vocally and cello-ally. Like a lot of great players, she gets the sound. Cello’s very flexible. If you have a violin or a fiddle or viola, you kind of always know you’ve got strings happening. It’s a very strong flavor. But the cello could be anything. It’s like the knight in chess. It’s a bit of a secret weapon. So Jenny’s in there, playing this very somber, wintry cello. Bill Rieflin gets a very metronomonic sound on it. Peter came up with one of his best sort of interlocking guitar parts. It goes up and then it goes down alternatively. It’s brilliant the way he formalized that. He just found this little pattern and imposed it on the song. And Scott… It’s a lovely rumbling voice. And then there’s Morris Windsor and Sean Nelson, formerly of Harvey Danger. Sean and Morris, they were 6,000 miles apart, but they did really great stuff on those vocals. So Chronolology ends as it begins—with a terrific collection of players—as well as a testament to what you can do nowadays. You don’t have to worry about 2-inch tape. You just sort of bung it down the telephone or whatever it is. So the vocalists never met, but there they are, and…I’m very happy with that one. It’s a beautiful piece. AVC: That’s the last song on Chronolology, but, of course, you’ve continued to record and release new material since Goodnight Oslo: There’s been another Venus 3 album—2010’s Propellor Time—and, earlier this year, you released a new solo album, Tromsø, Kaptein. Plus, you’ve been touring with Joe Boyd. RH: Joe and I are unlikely to make a record, alas, but I am singing all those great old songs that he produced. Only this morning I did “Chinese White” and “River Man” on Jody Denberg’s program on KUT. I also premièred a new song “For Steve Jobs,” which I wrote on hearing of his death. As for the other albums, Propellor Time only came out in Britain, and Tromsø, Kaptein was made for Norway, so… I mean, at this point, I reckon that everything is available anywhere via the world’s 17 remaining record shops. Also, you can get them from my website, so anyone who’s a fan who actually wants to do the decent thing and pay for it rather than just ripping it, they can buy it. So it’s not like the old days, where if you didn’t release a record in somebody’s country, it was hard to get hold of it. Although there was nothing quite as cool as an import, was there? It would be lovely to just be able to make things cool by not releasing them in certain places, wouldn’t it? [Laughs.] So, anyway, I figure, you just put it out in a really limited way, anyone who really wants it can find it, but it means that you only have to do promotion in the country that you release it in. So we did some touring on Propellor Time in Britain I’m just going back to Norway in a couple of weeks to promote Tromsø, Kaptein, and I’m not quite sure what we’ll do next. I mean, I’ve got hundreds of things that I’m doing, but I’m not sure that I’m going to make or put a record out for a bit. Increasingly, I don’t think that really matters, does it?